The “Primary” and “Secondary” are for the regular sidebars while the rest apply for the 4 footer columns. Additional to the “Primary” and “Secondary” sidebars you can create unlimited sidebars and assign them to individual pages or posts. 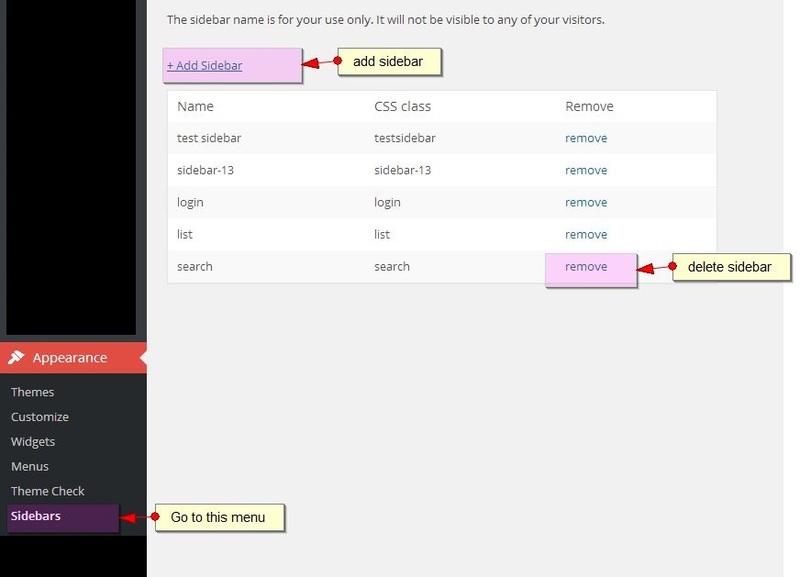 To create a NEW sidebar go to Appearance > Sidebars and use the “+ Add Sidebar” link. Then go to Appearance -> Widgets and populate the sidebar with the Widgets Available. Use Drag and Drop to re-order widgets on each sidebar. Sidebar position options: right, left or none. Right is default.